Fauntroy’s sudden disappearance prompted rumors and news reports that he had been killed. In an interview inside his Northwest D.C. home last week, the noted civil rights leader told the Afro that he watched French and Danish troops storm small villages late at night beheading, maiming and killing rebels and loyalists to show them who was in control. “‘What the hell’ I’m thinking to myself. I’m getting out of here. So I went in hiding,” Fauntroy said. The rebels told Fauntroy they had been told by the European forces to stay inside. According to Fauntroy, the European forces would tell the rebels, “‘Look at what you did.’ In other words, the French and Danish were ordering the bombings and killings, and giving credit to the rebels. Fauntroy watched French and Danish troops storm small villages late at night beheading, maiming and killing rebels and loyalists to show them who was in control. “The truth about all this will come out later,” Fauntroy said. While in Libya, the former congressman also said he sat down with Libyan leader Muammar Qaddafi for a one-on-one conversation. Qaddafi has ruled Libya since 1969, when he seized power in a military coup. Fauntroy said he spoke with Qaddafi in person and that Qaddafi assured him that if he survived these attacks, the mission to unite African countries would continue. The French and Danish were ordering the bombings and killings, and giving credit to the rebels. Several months ago, Qaddafi’s leadership faced its biggest challenge. 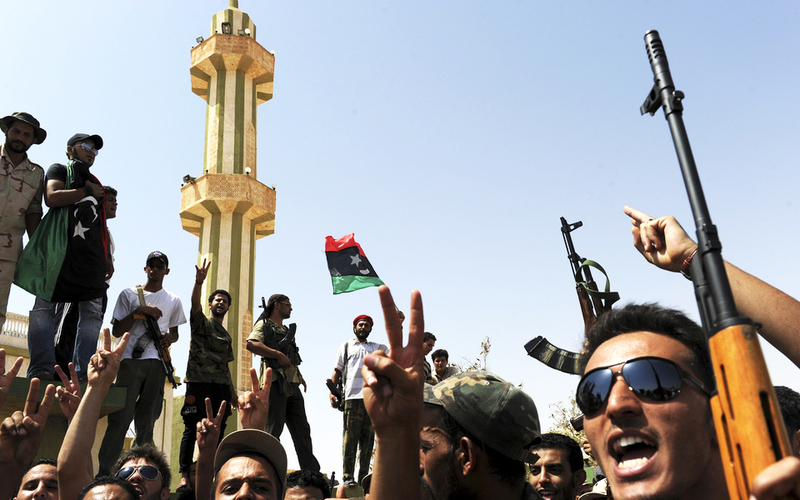 In February, a radical protest movement called the Arab Spring spread across Libya. When Qaddafi responded by dispatching military and plainclothes paramilitary to the streets to attack demonstrators, it turned into a civil war with the assistance of NATO and the United Nations. Fauntroy’s account could not be immediately verified by the Afro, and the U.S. State Department has not substantiated Fauntroy’s version of events. Fauntroy was not acting as an official representative of the U.S. in Libya. He returned to Washington, D.C., on Aug. 31. We believe the true mission of the attacks on Qaddafi is to prevent all efforts by African leaders to stop the recolonization of Africa. When rumors spread about Fauntroy being killed, he went underground, he told the Afro in an interview. Fauntroy said for more than a month he decided not to contact his family but to continue the mission to speak with African spiritual leaders about a movement to unify Africa despite the Arab uprisings. After blogs and rumors reported Fauntroy had been killed, the congressional office of Delegate Eleanor Holmes Norton, D-D.C., announced on Aug. 24 that she had been in touch with authorities who confirmed Fauntroy was safely in the care of the International Committee of the Red Cross. Inside his home, Fauntroy pulled out several memoirs and notebooks to explain why he traveled to Libya at a time when it was going through civil unrest. 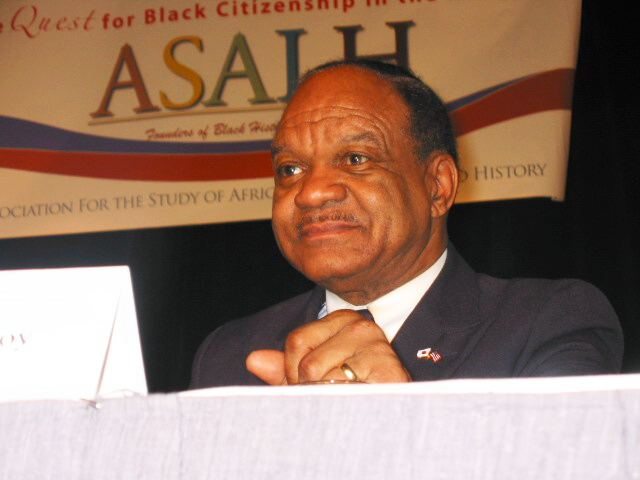 “This recent trip to Libya was part of a continuous mission that started under Dr. Martin Luther King Jr. when he gave me orders to join four African countries on the continent with four in the African Diaspora to restore the continent to its pre-colonial status,” Fauntroy said. Valencia Mohammed is a reporter for the Afro-American, the historic Black newspaper in Washington, D.C., where this story first appeared, on Sept. 7, and founder of Mothers of Unsolved Murders. Meanwhile reports from Tripoli are coming in. It seems in the last two weeks, rebel fighters have fired more bullets into the air to express their excitement than were shot during the assault on Tripoli earlier in August. But away from “jubilant” crowds, we meet those who are not so pleased. Abdulrakham lives in Tripoli’s Abu Slim district, which has historically been pro-Gaddafi. When the rebels arrived, his sister was badly injured. She is still in hospital in Tunisia. Abdulrakham does not want to show his face on camera and insists on a hidden location for the interview. He says the revolution has brought much fear in its wake. Abdulrakham says he also wanted change and a brighter future for his country, but not this way. And what is around is a scene of widespread destruction and social chaos. The badly damaged buildings matched by the rising stench of garbage and decomposing bodies. Armed youngsters roam the streets, barely old enough to understand that what they carry are weapons, not toys. Many shops, schools and hospitals are closed, while the city’s cemeteries are growing bigger. All what mr fauntroy said is not true. If he trying to show that caddafi good man he is not Mr fauntroy you did not live there to know who love him and who is not I can ishur you that 95% of libyan people do not want him since he got the power until this day he just killing people I saw every thing in my own eyes in 1984 I was student in alfath university when they were in forcing us to watch them hanging student and they close all doors so no one can escape if I want to tell you about what happened is going take months please do not talk about something you do not know . I just do not know from where Mr. Fauntroy came up with this story. Its absolutly untrue, its simply mayhem.The Libyans know gaddafi better than any body else. When it comes to Libya and the amount of damage the libyans suffered under gaddafi regime, better ask the ones who suffer, the ones who lived those bloody years under continous oppression and torture and programmed destruction, those who were exiled for no reason except to practice their right : to be free. I think that Any one who supports and defends gaddafi now after 17th February Revolution (NOT A CIVIL WAR BY ANY DEFINITION)is simply immoral, not to use other harsh words. Fauntroy story is fabricated to serve a purpose only ALLH knows it. Wait,yes, the truth will be fully exposed. Fauntroy did not go in to hiding for a month, he was with 34 others in the Rixos Hotel in Tripoli, for most of August, unable to leave because Qaddafi loyalists refused to let him, or any of the others, do so!! I'm also not sure how people feared he was dead, as he, or one of his colleagues, was in constant communication with the outside World, telling them that he was alive!! I believe there are photos of him circulating from that time, and mentions of him in several Reuters wires. A little more research in future, perhaps! !